– Arcade version captured in MAME via VGA with aspect ratio integer scaling at 1080p60. – SNES versions captured on Analogue Super NT via HDMI at 1080p60 with cross reference to standard SNES for performance comparison. – Microcomputers all captured on RetroArch emulation via VGA with integer scaling at 1080p60. – Sega CD/Mega CD captured on actual hardware with RGB via SCART cable out 240p upscaled via XRGB mini framemeister to 1080p60 using FirebrandX profile. – NES footage captured on RetroUSB AVS console via HDMI at 720p60 using actual cartridges with cross reference to standard NES for performance. – GBA footage captured on Gameboy Advance Player official software for initial Haggar scenes at 480i and later on Gameboy Interface homebrew at 240p and upscaled via XRGB mini framemeister to 1080p60. All captures made with S-Video cable. – Xbox footage captured via component cables at 480p and integer scaled to 960p by XRGB mini framemeister. – PSP footage captured at 240p (PSP 3000 via component cables with “interlaced” setting to get 240p) and upscaled via XRGB min framemeister to 1080p60. – PS2 footage captured via component cables at 480i and then deinterlaced and upscaled via XRGB mini to 1080p60 (it appears some combing artifacts were present and not removed, reason unknown). – Xbox 360 footage captured via HDMI at 1080p60 on actual hardware. – YouTube user FortunaChan: (https://www.youtube.com/channel/UCLSCUlYLEJgxGwN6oltUDgw) for his SNES Industrial Area glitched video. For this week’s episode Jam and Fred are celebrating 30 years of Capcom’s Street Fighter series. Specifically focusing on the titles in the recently released Anniversary Collection, they talk about the pop culture influences of the main three titles, all of the updates to each, and the three Alpha titles. Plenty of stories in this one. A new, but infrequent, podcast series called Co-Operative. Four players, one campaign, and lots of fun. Hosts Fred, Jam, Vos, and Gren (Matt) teamed up to tackle Slant 6’s Resident Evil Operation Raccoon City from start to finish. They share their experiences and compare this to the Resident Evil Outbreak games. Ever wanted to play see the Gamecube version of Resident Evil 2 in its entirety? Jam takes you through the whole journey on Claire’s Scenario A in a scant 2 and a half hours. Don’t know the differences in the versions of Resident Evil 2? Check them out here. This week Fred and Jam wrap up Resident Evil 7 with the back third of the main title, a plot synopsis, and the abundance of downloadable content. 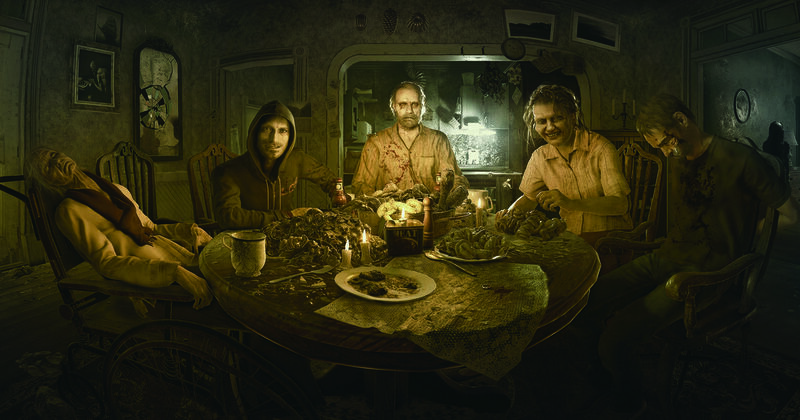 This week Fred and Jam are back to talk Resident Evil 7: Biohazard. We always knew it was going to take two parts, so this first part is dedicated to the pre-launch, Opening Hour demo, and the first two thirds of the game (the episode finishes after the boathouse battle). This series is basically a review of a modern game but with the context of a retro gamer visiting the present. As such it does not contain a review score and often speaks to concepts and franchises from the past. This article is spoiler free outside of what is revealed in trailers and public demos, which is why the screen shots are so vague. Resident Evil has had a rocky journey over the last five years, up to and including the “Beginning Hour” demo for this very title. The comparison to P.T., Hideo Kojima’s “playable trailer” for Silent Hills that has since been canceled by Konami, is unmistakable. I don’t know about the rest of you, but I don’t want my Silent Hill getting mixed into my Resident Evil, the two should remain mutually exclusive. Couple that with the recent missteps of Resident Evil 6, my personal distaste for Revelations 2, and whatever goal Umbrella Corps. had, it wasn’t looking good. I for one was also a bit worried about the hodgepodge of features thrown at this title including support for 4K resolution, PS4 Pro support, Playstation VR support, and HDR support on all platforms. 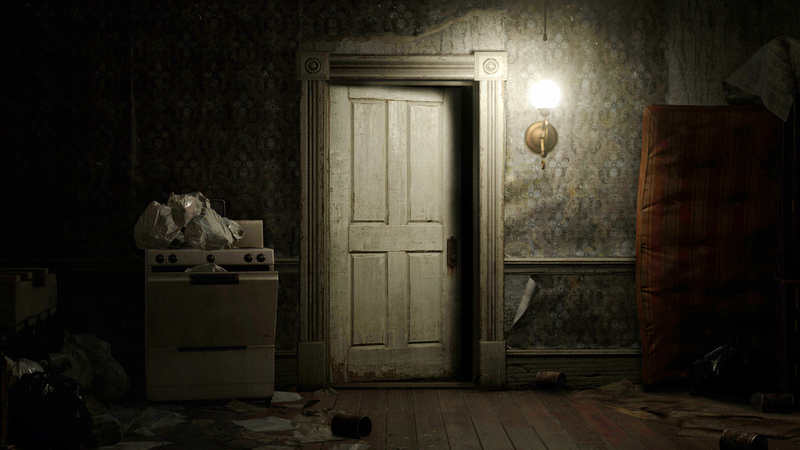 To my shock and awe, every bad indicator going into the release was without merit as Resident Evil 7: Biohazard demonstrates a return to form I have not felt since the remake of the original on GameCube in 2002. Set in an old farm house in Louisiana, you play as main protagonist Ethan in search of your girlfriend Mia, who went missing years ago. Those that played through the “Beginning Hour” demo, especially if you caught the final “midnight edition” will find the opening scenes to be familiar but clearly re-engineered. I like this touch and I feel it was necessary for how many times Capcom made us play that thing in hopes to figuring out what was with the dummy finger and several other mysteries from the last six months. While it’s interesting to play through – not to mention the reward you receive for completing it with the good ending and the on-edge “kitchen” demo on Playstation VR – none of this is required if you’re just jumping into the main game. It reminds me why I’ve always appreciated the original work Capcom did on the Resident Evil series. Whether it was “arrange mode” in the original, the way the mansion was reworked in the remake, or even the drastic differences between the shack in the demo and the main game of Resident Evil 7, you won’t be able to guess what’s coming. After that opening sequence you will descend into a literal house of horrors and beyond that kept me on the edge of my seat and thoroughly creeped out for a majority of the game’s 8-12 hour campaign. It’s finally time to discuss the Gamecube title Fred didn’t even know existed. The first of the “Capcom Five” titles, what starts off looking like a traditional third-person action shooter ends up being a bit lighter on content and much heavier on replayability. With Jam on haitus, Fred is joined by special guest Strip Mahjong and they delve deep into the development, gameplay, and campaign. Another Silent Evil, another set of games. This time it’s the reinvention of both franchises. First up is Climax’s take on the original game with Silent Hill Shattered Memories followed by the powerhouse horror action hybrid Resident Evil 4.